Yoga expert Micheline Berry leads this beginner workout based on Vinyasa Flow techniques that seamlessly transition the body from one challenging pose to the next, while building strength and improving flexibility. Berry uses four basic movements -- circle, wave, spiral and undulation -- as the foundation for this 75-minute routine. 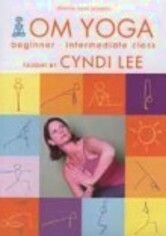 The session also features instructions for basic sitting postures and an introduction to short Vinyasa sequences.